I am happy to introduce you to my first solo show in Tokyo, at Vanilla gallery . 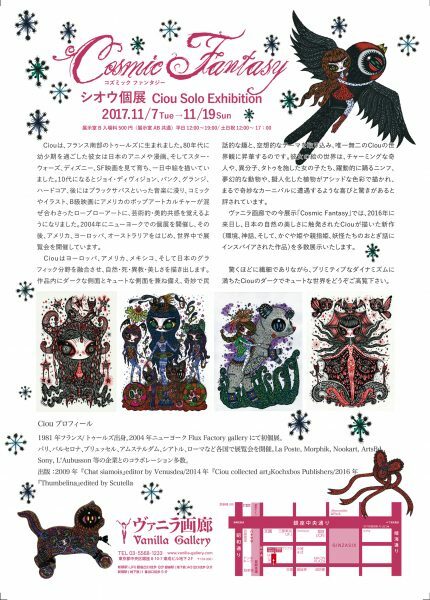 I will be at the opening the 7th of November, the show runs until the 19th of November. I will show 26 artworks and one kitty 3D toy. I can’t wait to come back to Japan. 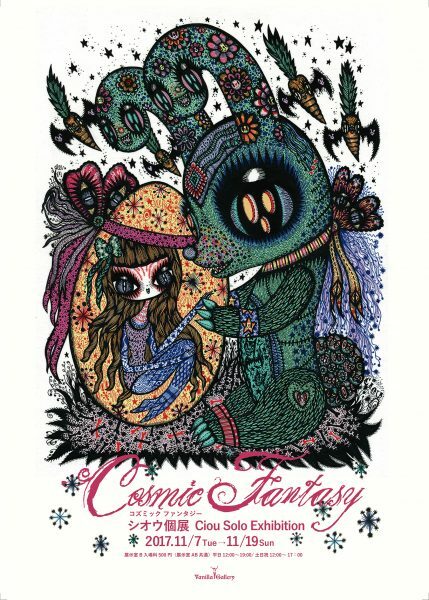 For the show Cosmic fantasy at Vanilla gallery i was inspired by nature, elements, mythes and fairy tales as Princess Kaguya Himé, Spirit of nature, Yokaï, Thumbelina, Princess Mononoke. 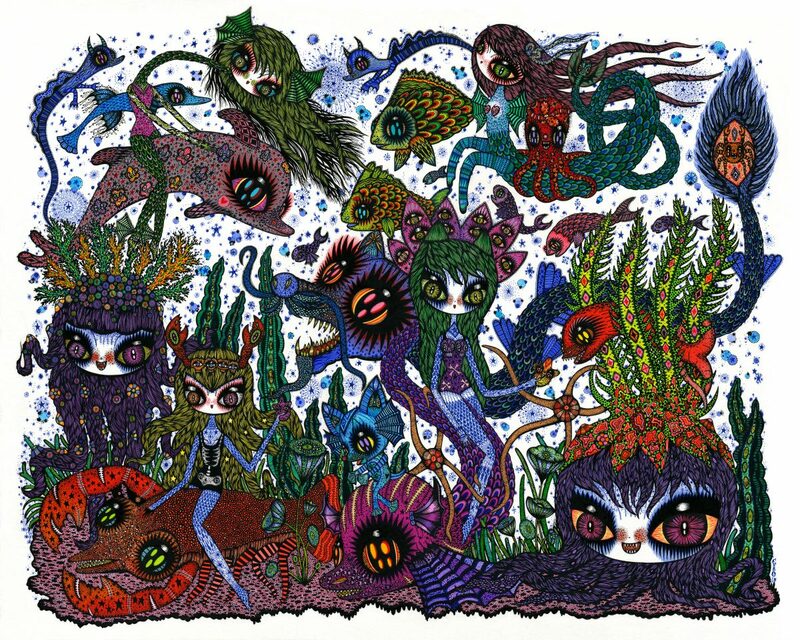 In 2016 after a trip and a group show in Tokyo, i was so inspired by all the beauties in Japan and was very moved by the nature inside the city. The relation between Nature and Japanese people is extraordinary. 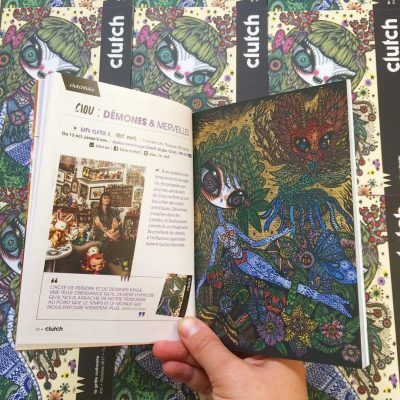 Clutch Magazine October N°56, I am glad to feature into the clutch magazine with the cover and 10 pages. 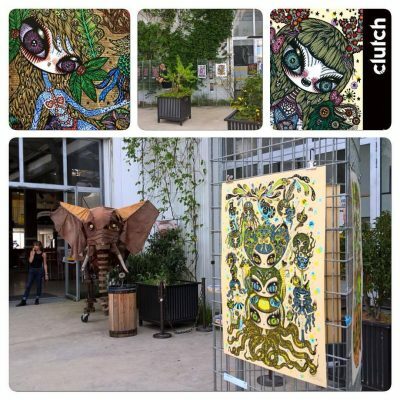 It’s a free mag about culture in Toulouse south of France, and they made a party at the circus » la Grainerie » for the new magazine!!!! Haven Gallery presents a Beautiful Bizarre Magazine curated exhibition. “Heart’s Blood” inspired by the Oscar Wilde fairytale, ‘The Nightingale & the Rose’. Exhibition runs September 16 – October 15, 2017 . ‘The Nightingale and the Rose’ is a romantic and deeply moving story of love and sacrifice. Starting out as all fairy tales do, a man seeking his true love, and a young girl who promises him a dance only if he brings her a red rose. His heart song is heard by the nightingale and the ultimate sacrifice for love is heartbreakingly made, with an equally heartbreaking end. We wouldn’t be human without our stories of love and loss. Ultimately our existence relies upon drifting into and away from love. We cannot control having hearts that fall deeply and break easily. Love leaves lingering memories and the theme is to explore the dark and romantic with the help of this tragic love story.